The 500,000-acre Bering Pacific Ranches located on Alaska’s Aleutian Islands is on the market for $19.9 million. Nestled between the North Pacific Ocean and the Bearing Sea, the ranches sit on the furthest western point of North America. Once a part of the Russia Empire, the islands became a territory of the United States in 1867. Co-found Pat Harvie said the ranch has made numerous improvements maximizing efficiency and profit potential in recent years. "The business is now a completely turnkey operation ready for a new owner to take the reins. 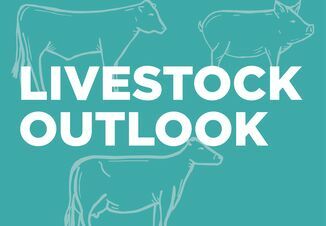 It has the inventory of cattle, the pastures and year-round feed to support them as well as the means to market them," Harvie said. Harvie and Bruce Hubbard, former Agriculture classmates at University of Alberta, established Bering Pacific Ranches in 1993. Over the next few years, they purchased native cattle, grazing rights and Fort Glenn, a former WWII base camp. In 1995, headquarters and cattle operations moved from Calgary to Fort Glenn, an existing ranch house and useful infrastructure, including airstrips and nearby springs. 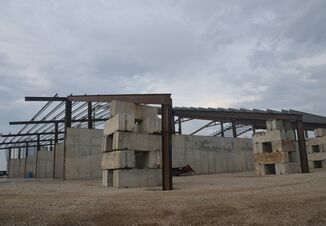 A USDA and Oregon Tilth-certified organic slaughter facility was built and approved by 1997, which greatly expanded the beef marketing opportunity. 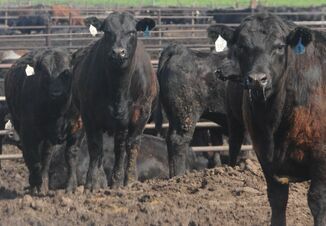 Finally, looking to turn away from shipping frozen beef, Hubbard and Harvie began shipping live cattle via freight ship to several Canadian ports, and later to northwestern ports in the U.S. The island's wild environment also provides extensive recreational opportunities, including deep sea and stream fishing. The Discovery Channel's "Deadliest Catch" was filmed in nearby Dutch Harbor. Reindeer hunting is also common, with permission from native owners, and provides an untapped revenue stream. "Truly the last frontier, this is an incredible one-of-a-kind opportunity to combine business, adventure, and pleasure of isolation and outdoors while expanding the organic cattle production business in North America," said Bernard Uechtritz, of Icon Global Group, an international real estate company.